The Whole Truth About DNP! There is a myth circulating throughout the fitness community that Dinitrophenol (DNP) is a fat/weight loss drug. As indicated above, this couldn’t be further from the truth. The information provided here will better illustrate what DNP actually is, explain its created purpose and proper applications, hazardousness to all living organisms, and for those who simply defy reason and insist on consuming it anyway…the safest ways to do so. Back in the 1930’s DNP, a phenol - group of poisons which function by intercellularly damaging living organisms, was briefly marketed as an effective diet pill because in layman’s terms it promotes the rapid mobilization of carbohydrates and fats, by disabling the mechanisms that produce energy. World renowned biochemist Efraim Racker was responsible for identifying and purifying Factor 1 (F1), the peripheral membrane protein attached to component Fo, which is integral to both the membrane itself, and to the first part of the ATP synthase complex known as Complex V. In his work ‘A New Look at Mechanisms in Bioenergetics’ Racker regarding DNP as fat loss supplement wrote, and I quote "The treatment eliminated not only the fat but also the patients...this discouraged physicians for awhile..." That’s quite a statement, so let’s get a better idea of just what DNP really is. There are six DNP isomers: 2,3-; 2,4-; 2,5-; 2,6-; 3,4-; and 3,5-DNP. 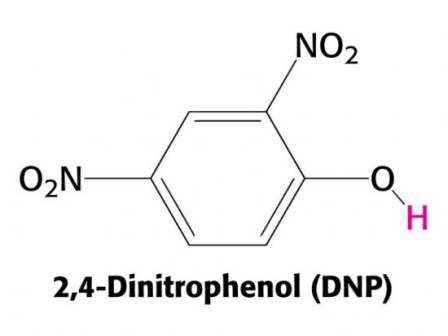 The commercial mixture of 2,4-DNP and smaller amounts of 2,3- and 2,6-DNP are used in the synthesis of dyes, picric acid, pyramid acid, wood preservatives, photo developing, explosives, and insecticides. The isomer of greatest interest is 2,4-DNP which as mentioned earlier was briefly sold as an oral weight reduction product. Based on historical accounts, the primary reason this product was discontinued and subsequently banned was one of consumer mentality, which often contends that if one capsule works well then two or three, should work even better but more on this later. This chemical’s extensive use in herbicides and pesticides provides a bevy of information on the highly toxic effects which accompany any type of exposure be it dermal, inhalation, or ingestion. Drug - a substance intended for use in the diagnosis, cure, mitigation, treatment, or prevention of disease/illness in an organism. Poison - a substance which through its normal chemical action, kills, injures, damages, or otherwise impairs a living organism. Fluoride is a poisonous chemical, which we ingest in only miniscule amounts, which is why we do not swallow toothpaste or mouth rinse. Yet, it is effectively used to KILL germs, thereby controlling the levels of harmful bacteria in our mouths. It’s also proportionately (in a very controlled amount) administered as a large body of drinking water additive in some countries. For references on this poison see “Toxicity, Fluoride” by Geofrey Nochimson, MD - http://www.emedicine.com/emerg/topic181.htm. To a lesser extent than DNP, fluoride can also promote oxidative phosphorylation, i.e. mitochondrial uncoupling. Chlorine is a poison, which we utilize in liberal amounts to help control the very dangerous water-thriving micro-organisms that cause Typhoid, Hepatitis, Cholera, and other notable human enemies. Chlorine works by destroying the cell structure of harmful organisms, thereby KILLING them. For more detail on this poison, see the “How Chlorine Kills” in Box 1 of this World Health Organization (WHO) informational: http://www.searo.who.int/LinkFiles/L...e_residual.pdf. This seeming paradox can be analogous to taking the heel of a dress shoe and hammering in a nail. The use doesn’t turn the shoe into a hammer, any more than taking a poison to kill cancerous cells, turns said poison into a drug. It’s still killing; we’ve only redirected the killing focus in a ‘the enemy of my enemy is my friend’ sort of fashion. The poison is being controlled in such a way as to destroy the interloping cancer prior to killing you. Another often misunderstood and thus erroneously applied term is “side effect.” Drugs are generally and unfortunately accompanied by often negative secondary effects, b.k.a. side effects, so named because they run alongside the intended positive primary effects. Side Effect - a concurrent secondary and usually adverse effect, as of a drug; also called a side reaction. As mentioned earlier, poisons have inherently detrimental properties which primarily harm living organisms, and thus no side effects (SEE ABOVE MEANING). Instead, they are accompanied only by the negative symptoms which naturally result from the body's autonomic (acting or occurring involuntarily) physiological responses to any type of harm or damage, e.g. poisoning. Symptom - subjective evidence of disease or disturbance (physical, physiological, psychological, etc.) which indicates the presence of bodily disorder. DNP poisoning’s most prominent initial symptoms include an unquenchable thirst which occurs for various reasons, extreme mitochondrial heat production, and rapid stored fat loss. Unfortunately, within an obesity laden society such ours and among scrutinizingly image conscious bodybuilders, there is a high susceptibility towards the latter symptom. Another difference between the two is that drugs work by dosages which saturate (reach their highest concentration in blood, tissue, and/or fat) your blood serum levels and depending on the drug work in such a way that higher concentrations often equal better results. Poisonous chemicals are similarly absorbed, but the higher the concentration the worse the results, i.e. advancing levels of poisoning. As you may have already noticed this is where the above confusion is most pronounced, in that the effects of each (drug and poison) can be positive or negative depending on your perspective. However, more of a drug tends to equal better health, whereas more of a poison tends to equal worse health. Notice my use of the term “tends to”, because of course medication guidelines should be followed (the law of diminishing returns functions on a bell shaped curve), which is to say aspirin is a great drug but if you take 18 of them that’ll be your very last headache. DNP is a prominent herbicide/pesticide ingredient because of its effectiveness on organisms that are: 1) small enough to be highly susceptible to poisonous sprays; and 2) unable to process information well enough to avoid it. No higher functioning species with sound reasoning, e.g. mouse, squirrel, raccoon or greater – those animals intelligent enough to test food sources before indulging, would ever die from DNP poisoning because they’d recognize the symptoms as negative and immediately discontinue the food source or evacuate the exposure area. Unfortunately, we (human beings) can often be too intelligent for our own good. That is to say we routinely override logic and reason to accomplish our desired goals, both good and bad. For example, we’ll restrict ourselves in dieting to lose weight whether beneficial (when overweight or obese), or not (for vanity reasons, and within so-called body image diseases), even though desirable food is readily available. Conversely, we’ll indulge (and often overindulge) in response to sensory cues (television commercials, aromas, golden arches, etc. ), and based on availability even when we’re not hungry. Similarly, DNP users ignore reason to engage in controlled (dosage, frequency, and duration) DNP poisoning to benefit from mitochondrial uncoupling’s symptom of stored fat loss. Nevertheless, you are still poisoning yourself, which takes us back to one of poison’s fundamental characteristics, that of saturation. The reason DNP dosages aren’t frontloaded (rushed upward) like we sometimes do with anabolic steroids, medications, vitamins, etc., or even run for moderate periods of time, is because poisoning is progressive and both of these methods hasten its progression. Let me reiterate, generally qualified by levels such as mild, moderate, severe, and sometimes acute, the poisoning process is cumulative. This means that taking too much too fast can be hazardous, more on this later. Why is DNP so Harmful? In short, DNP is harmful because it is a highly toxic and therefore a very poisonous chemical, which explains its prevalence in herbicides and pesticides. Although this reason alone should warrant strict avoidance, there are several others as well. Rice University’s Experimental Biosciences Lab (EBL) classifies it among the “List of Poisons” (http://www.ruf.rice.edu/~bioslabs/studies/mitochondria/mitopoisons.html) for use in the study of oxygen consumption by the mitochondria (an energy generating substructure within the cell). For the biological explanation, science geeks can read the following information on Adenosine Triphosphate (ATP) and how it works, and for the less scientific I’ll make it as painless as possible. You've probably heard about how ATP has been called "the energy currency of life", and rightfully so as every hydrolyzed mole of ATP is equivalent to about 10 calories. However, bioenergetics isn't really a direct food-to-ATP transaction. It also requires oxidative phosphorylation, during which some major molecules get regenerated. As this transfer of oxidizing equivalents is occurring in the mitochondrion, a "proton gradient" is formed. This means there are more protons on one side of the membrane than the other, which also makes one side more acidic. Having a chemical gradient is a lot like a boulder resting atop a hill, in that we have some potential energy to work with. The cell makes good use of such gradients to produce ATP, and this is ultimately how the oxygen we get from air helps us to release energy from food. So if you think tinkering with such a complex mechanism can be perilous, you’re right. Like its chemically structured cousins, cyanide and carbon monoxide, DNP efficiently disrupts this electron transfer which is to say, these chemicals literally poison the mitochondria. Yet another reason to avoid, DNP use as if the above wasn’t enough for the rationally minded individual, is fact that DNP is not an NFL participant. The body's homeostatically cultivated systems are routinely maintained by negative feedback mechanisms, sometimes called negative feedback loops or NFLs. In negative feedback, any change or deviation from the normal range of function is opposed, or resisted by the body. Changes or deviations in controlled values initiate autonomic responses which bring the function of the organ, system, or structure back to within the normal range. Participation in the NFL is ideal, and in such cases it changes your physiology, for example proper diet and exercise tends to raise or reset your Basal Metabolic Rate - the minimum amount of calories required to sustain your body’s functions and processes at rest, which means greater stored fat usage. However, even though essentially tricking your body into fat loss through extreme/crash dieting engages the NFL, i.e. the brain processes feedback and begins restorative measures, anything lost or gained during the engaged period is deemed illegitimate. The body will not subsequently reset any systems, thus we say the NFL is not a participant in such actions. Consequently, your body will reinstate those fat losses deemed illegitimate, sometimes at even greater amounts than before when normal eating resumes, a phenomenon known as Yo-Yo dieting. Similarly, your body regards DNP poisoning's symptomatic fat loss as equally illegitimate, because it was lost improperly and when the body was unable to correct for it. As a result DNP fat loss is temporary, and “yes” many users will ‘claim’ to have sustained it for various indefinite periods of time and some may have even actually achieved this to varying degrees, but that doesn’t change the norm…the body will catch up and the fat will be restored. This is analogous to losing weight while sick (naturally consuming less due to loss of appetite and/or nausea), or forced weight loss like that experienced during severe trauma hospital stays or POW imprisonment, both of which deprive or greatly alter your typical diet. Once normal eating, known as Refeeding Syndrome, is resumed due to a return to health (when sick), normal diet (when overly deprived), and the discontinuation of DNP (when poisoned), homeostasis - the Greek term meaning ‘same state’, restores your body to its normal or baseline functioning. This includes all set-point monitored organs and systems that are illegitimately altered by DNP administration such as blood pressure, temperature, heart rate, body weight, growth & development (during vitamin/mineral deficiency), etc., and unfortunately fat storage and body fat distribution. MILD – fatigue; hyperthermia (heat exhaustion); excessive fat loss; inability to metabolize carbohydrates; dizziness; profuse perspiration; hyperthermia - elevated temperature and respiration which causes constant and unquenchable thirst; restlessness; malaise; headache; torso rash (based on sensitivity to poisoning); and oxidative phosphorylation, a.k.a. mitochondrial uncoupling. MODERATE - elevating temperature and respiration; vomiting; torso rash (based on sensitivity to poisoning); insomnia; dysgeusia or loss of taste (http://www.nlm.nih.gov/medlineplus/ency/article/003050.htm); non-jaundice yellowing of hands and arms; and peripheral neuritis (http://www.baptistonline.org/health/library/neur3536.asp); and extreme fat loss. SEVERE - excessive sustained temperature; pruitis without a rash (http://www.aad.org/public/publications/pamphlets/common_pruritus.html); tachycardia; cataracts; loss of 20% of body weight; necrosis (http://www.nlm.nih.gov/medlineplus/ency/article/002266.htm); nephritis (http://www.medterms.com/script/main/art.asp?articlekey=4528); Anaphylaxis b.k.a. anaphylactic shock (http://www.ncbi.nlm.nih.gov/pubmedhealth/PMH0001847/); paralysis and severe injury to the heart, kidneys, liver, and lungs; and death. Whenever poisoning is accidentally or intentionally initiated, there is the potential for physiological harm. Often overzealous users, to forgo the suffering of a full week or two will opt for shorter more aggressive so-called DNP cycles (I cringe at calling poisoning a cycle, but will do so throughout for clarity sake). This is a VERY BAD IDEA! Again poisoning is cumulative, and once its progresses past the mild stage (which is where you want to stay during a DNP cycle) into moderate, and the hybrid moderate-to-severe phases, new and more harmful symptoms are experienced. Many fast track DNP users who’ve delved into this level of poisoning have experienced the most severe of the next level symptoms, namely peripheral neuritis - extreme nerve sensitivity (see above link in 'moderate symptoms') similar to that of Neuralgia. This is when the nerves just beneath the skin unprovokedly fire with only the slightest coaxing. That is to say, your clothes brushing against your skin can cause extreme nerve pain; being touched even gently can be quite painful; and the act of laying down to sleep (supporting your own body weight) can be excruciating. This condition is further exacerbated by the fact that as mentioned earlier most poisons are not merely absorbed into the bloodstream, but also stored within bodily tissue and fat reserves. Concordantly, at higher concentrations it takes substantially longer for DNP to evacuate the body via the three methods - absorption, degradation, and elimination. Once you’ve been moderately poisoned or greater, you’re for lack of a better term, “in bad shape bru”. DNP poisoning of this magnitude takes approximately 21 days to fully evacuate your body, and all you can do is drink plenty of water and suffer through it. Some people are fatally hypersensitive to moderate levels of exposure, however, most of the users who demonstrate DNP sensitivity see it manifested within only a few days as an often ‘initially’ itch-less rash on the torso (area from the base of the neck to the waist). It is commonly reported (especially throughout the internet) that taking Benadryl at varying dosages will resolve this rash, but that’s simply false. Benadryl works at the beta-receptor level as a histamine blocker, and since excess histamine is often at the root of allergic reactions (rashes, swelling, closed air passages, etc.) it works well to resolve them. Unfortunately, a DNP induced-rash is not histamine-related. It is your body’s autonomic response, i.e. an early poisoning alert system designed to signal you to cease accidental or intentional exposure to the chemical. This rash typically resolves shortly after DNP discontinuation. Okay, we’ve learned what DNP is, how it works, why it’s both a harmful and dangerous poison, and that its rapid fat loss results are just as rapidly fleeting. In other words, we’ve reviewed plenty of reasons to never touch this stuff. Now what of those individuals for whom DNP’s allure is just too great? Well hopefully I’ve lowered this number, but to all the doubting Thomases that simply have to try it for themselves, we Vets understand, and this is for you. The conventional DNP administration dictates beginning at 200 mg a day for the first 1-3 days (depending your chosen cycle length), then increasing dosage by the same amount and rate of time before plateauing at a max dosage of 600 mg for only a couple days prior to descending (ramping down) in the same manner. Nevertheless, as cited above, many users unwittingly accelerate the poisoning process by: 1) more rapidly elevating the dosages, or using a higher starting point; 2) exceeding the maximum dosage; 3) sustaining the max dosage for longer periods of time or; 4) cycling DNP for longer than suggested. Phenols, like most poisons, are cumulative meaning they either slowly or rapidly (depending on the rate of exposure and their level of toxicity) accumulate within your body. Following the building of blood serum levels, phenols and related toxicants are readily absorbed by and stored within fat tissues as you may recall. Noting our discussion on how poisons can benefit us, you’ll also remember that they were only administered in amounts effective for their respective jobs, and not in excess. This knowledge combined with that of the above stages for DNP poisoning and symptoms should signal the thinking man to maintain low dosages, thereby minimizing the inanely intentional level/degree of poisoning for as long as possible. Since uncoupling is initiated (as you'll recall from the clinical data) at a single exposure of merely 30 mg, the base dosage of 200 mg is actually more than enough to achieve and sustain the desired results. Although 200 mg is optimal, should you still desire to increase the dosage to 400 mg it’ll still provide greater cycle longevity with regard to the mildly poisoned stage than journeying to 600 mg. In other words, increasing your dosage to 400 - 600 mg is both useless because it doesn't uncouple you any more than 200 mg will, and senseless because it not only increases the severity of your symptoms, but also curtails your overall duration due to the aforementioned cumulative effects of poisoning. The key is not to think of DNP as you would a supplement, but rather as a toxin that you're controlling. Keep your electrolyte levels up, and be sure to double your multi-vitamin/mineral, as much of both will be lost during perspiration. Below are some FAQs that will be of additional assistance. When it comes to the administration of anything, the proper mindset is always important. We’ve all seen how easy it is for an obesity plagued society to succumb to irresponsible thoughts and actions. In the use of traditional fat-burning supplements the philosophy is most often, “If one capsule works well then two or three should work even better.” It was this type of thinking that led to the scrutiny and subsequent banning of Epehdra - the Chinese herb Ma Huang, used for centuries in China, and arguably the most effective ‘natural’ weight-loss supplement ever marketed. 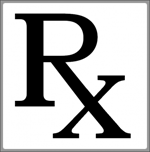 Although this philosophy is sometimes applicable to individual vitamins, minerals, and some supplements the margin between therapeutic and dangerous DNP administration is far too narrow to coexist with such ill-conceived beliefs. It is therefore paramount not to think of DNP as you would a supplement, but rather as toxin deserving of your respect. Q. My DNP comes in capsules dosed at 250 mg, is this comparable to 200 mg? A. “Yes”, the extra 50 mg are comprised of the crystalline additives for that particular type of DNP (crystal), thus the actual DNP dose is still 200 mg.
Q. Is 200 mg ED enough? A. “Yes”, sufficient poisoning to completely incite mitochondrial uncoupling is achieved almost immediately with as little 30 mg. As you’ll recall from the material 600 mg ED is the recommended short-term max, but it is not necessary to go that high. Contrary to popular belief, you can satisfactorily achieve and maintain uncoupling, i.e. 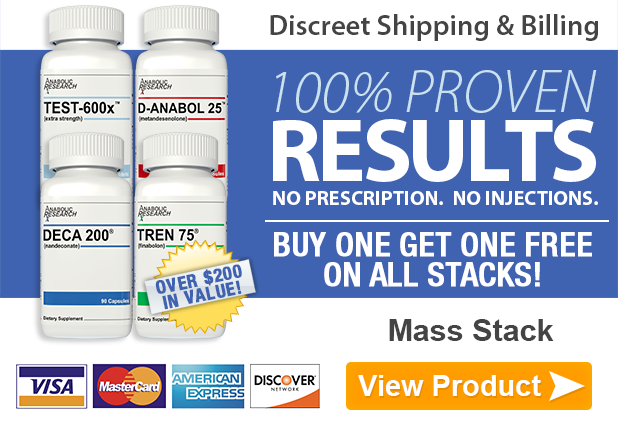 run a complete DNP cycle at 200 mg ED. Q. Should I notice DNP symptoms following the first dosage/day? A. Yes, you should notice exposure to poisoning symptoms after the first 200 mg dosage. As stated above, it takes time for the poison to accumulate within your body, and there are individual differences and tolerances which explains why people often cite varying levels of symptoms during early poisoning, but 200 mg is more than enough to both incite uncoupling and recognize poisoning symptoms. Q. Is DNP fat loss permanent? A. “No”, as explained above DNP fat loss is subject to the body’s homeostatic corrective mechanisms, which restore normalcy (including fat reserves) within the body. Q. How can I best protect myself from DNP hazards? A. The very best way is not to take it, but assuming you do anyway, drink plenty of water, keep electrolytes levels up, and follow the measures found within the two well written works, ‘The Inferno: My Week on DNP’ and “DNP: Getting Leaner through Chemistry.” Both of works are cited below. Q. Is it DNP’s heat that makes me so thirsty, and why does the thirst persist? A. It's a little more complicated than mere heat. The thirst is a natural physiological response to, and symptom of poisoning, during which electrolytes are routinely leeched from the body causing dehydration to occur and persist for as long as active poisoning is sustained. A greater contributor to the fierce thirst is the constant taxing of the cardiovascular system, the reason for which many describe DNP use as mild 24-hour cardio. This continuous cardio (making it seem as though every task even walking is 1/3 harder) along with other poisoning effects elevates body temperature, and would do so fatally were it not for an adaptive type of physiological system sharing. Both the heat and workload generated by DNP is offset by the cardiovascular system onto the respiratory system, thereby increasing overall respiration (breathing) resulting in a constant drying of the upper GI tract (specifically the mouth and throat). This fascinatingly adaptive sharing capacity is very similar to the regular functioning of a canine’s cooling system, i.e. panting, which benefits the entire body by simultaneously reducing body temperature and blood pressure. Q. Does DNP really eliminate just fat? A. That's a 'yes' and a 'no', yes if you're asking does it burn fat only and not muscle. DNP, via mitochondrial uncoupling, does cause your body to burn stored fat at the very rapid rate of approximately 1/2 lb per day. However, it's not just fat, you'll also deplete your body of a whole lot of water (most of which will be readily replaced), but some of which will show up in your net weight loss column. A typical one week DNP cycle is believed to account for 2.5 pounds of stored fat (1/2 per day) loss, and 1/2 - 1 pound of water loss. I have somewhat extensively studied DNP prior to, during and after my own experiments with this incredibly enticing poison. Surely you didn’t think I was writing all this based on sheer conjecture, hypothesis, and study? There is also some great DNP dialoguing within my Steroid.com signature. ...It Simply is NOT Worth It! Agency for Toxic Substances and Disease Registry ToxFAQs, “DINITROPHENOLS 2,4-DNP CAS # 51-28-5, 1996. American Cancer Society, Detailed Guide: Leukemia – Acute Lymphocytic (ALL) “Chemotherapy”, Revised 2007. Matsumoto M, Furuhashi T, Poncipe C, Ema M., Combined repeated dose and reproductive/developmental toxicity screening test of the nitrophenolic herbicide dinoseb, 2-sec-butyl-4,6-dinitrophenol, in rats. Environ Toxicol., 2008. Nochimson G, “Toxicity, Fluoride”, 2007, eMedicine from WebMD. Racker E, A New Look at Mechanisms in Bioenergetics, Academic Press, 1976, p. 155. Reigart J, Roberts R, Recognition and Management of Pesticide Poisonings, Fifth Edition, 1999. Roberts A, Inferno: My Week on DNP, 2006. World Health Organization, “How to measure chlorine residual in water”, Revised 2005.